source reveals attempts to Baghdadi to return to Iraq .. How could change the shape of the outside? The latest news in Iraq today about the fate of the leader of the organization, "Daash," Ibrahim Awad al-Badri, known as Abu Bakr al-Baghdadi, amid concern about the possibility of resorting again to Iraq with the end of the battles in the town of Albaguz Syrian, the last stronghold and area controlled by Organization in the world, watching for what will happen in the world of dangers after the organization calls for "revenge for the succession state." With the recent progress in the battle to liberate the Baguoz and the imminent declaration of an official end to the "da'ash" in Iraq and Syria, the Iraqis have resumed their search for an answer that cures their curiosity about the fate of those who caused the death and displacement of millions and the destruction of major cities such as Mosul and Aleppo. With a simple and rapid count of the number of foreign and Arab news and press agencies speaking since the first appearance of al-Baghdadi in July 2014, and until now, about the possibility of his death and air strikes, once by the US and by Russia, and by several missile strikes in the two countries he claimed In which his alleged succession appears to be more than 18 times, but there is no clear confirmation of his fate from the recordings of the phonetic organization or its visual publications through his media, such as "Depth", "Publisher" and "Al Furqan Foundation". Baghdadi did not appear again after his famous sermon at the Mosul Mosque in July 2014, for purposes not disclosed by any Iraqi officials, even the organization itself, but some are likely to either cross the Iraqi border and returned from Syria to the Western Anbar Desert, In the province of Nineveh, after the dispersion of his forces, and defeated in most of the battles, which opened the doors of the question on how to penetrate the border, in addition to ways to arrest or get rid of the beating and the last hatred. An official source from the Iraqi National Security Service for the new Arab, "Baghdadi is not in the Syrian Bagouz, but he visited more than once before the start of the attack by the Syrian Democratic Forces (Qusd)," adding: "According to the information owned by the device, Syria, other than the Baguoz, and he repeatedly tried to resort to Iraq, but the flight of the coalition and the spread of factions of popular mobilization on the border between the two countries, led him to retreat from this, "saying that" talk about his ability to reach Iraq is difficult to ratify, Syrian ". The source pointed out that "all we know, and we have confirmed the information, that it changed the appearance of the exterior, and the shape of the beard from long to short, and the color to red, and is currently obese due to lack of movement during the past two years, and depends mostly on the movement of civilian cars Ordinary, and sometimes moving by yellow taxis from one neighborhood to another, and no longer accompanied by any military frames, but his companions are deployed in a fashion does not resemble the dress Daichi known, which is the Afghan dress. He pointed out that "Russian intelligence is still insisting that it killed al-Baghdadi, but the organization does not recognize it, and the International Alliance believes that he is seriously injured," explaining that "the preacher knows the geography of Iraq because most of its leaders in the first row are Iraqis, In the areas of the Anbar Desert, and the organization has huge tunnels linked to the border and then to Syrian territory; however, the possibility of entering the depth of Iraq is still a low possibility, but not impossible, because the Anbar desert contain areas ready to contain. "The Iraqi-Syrian border is still not fully secure," said al-Issawi. "The Iraqi-Syrian border is still not fully secure, and al-Baghdadi and his remaining terrorists can move, access and reach the Anbar desert, especially as this area originally contains terrorists not reached by Iraqi forces So far, and contain caves and caches and tunnels, and we have observed a flight from Iraq to Syria and vice versa, during the recent period. "The western region of Iraq needs urgent intelligence action, strengthening the forces on the border with Syria and intensifying the monitoring of the elements of the terrorist organization, because in the coming days and with the tightening of the screws on them and the continued shelling of the last strongholds will inevitably go to Iraq, Close to others ". But the leader of the "popular crowd" Ali Husseini, strongly denied that al-Baghdadi had returned to Iraq after the liberation of Nineveh. "Baghdadi is currently living in a turbulent state and can not stay in any area for a long time," he said. "It is impossible for Baghdadi and those remaining with him to go to Iraq and infiltrate the border areas with Syria, ; The border is tightly controlled, and Baghdadi is still in some areas may suffer weak security efforts, but within the depth of Syria. Abu Bakr al-Baghdadi has repeatedly tried to flee to Iraq, an official source said. Al-Arabi newspaper quoted the source as saying that "the leader of the organization of Daqash Abu Bakr al-Baghdadi is not in the Syrian Bagouz, but he visited more than once before the start of the attack by the Syrian Democratic Forces (Qusd)", indicating that "according to the information owned by the device, A Syrian region other than the Baguoz, and he repeatedly tried to resort to Iraq, but the flight of the coalition and the spread of popular mobilization factions on the border between the two countries, led him to retreat from this. The source, who asked not to be named, said that "talking about his ability to get to Iraq is difficult to ratify, and is still within the Syrian territory," noting that "we have been sure that the information that Baghdadi changed the appearance of external, and the shape of his beard from long to short, And is currently obese because of lack of movement during the past two years, and depends mostly on the movement of ordinary civilian cars, and sometimes moving by yellow taxis from one neighborhood to another, and no longer accompanied by any military frames, but his companions deployed in a fashion does not resemble The famous Dashi costume, an Afghan dress. " "The Russian intelligence is still insisting that it killed al-Baghdadi, but the organization does not recognize this, and the international coalition believes that he is seriously injured," explaining that "the preacher knows the geography of Iraq because most of its leaders in the first row are Iraqis, After that, in the Anbar desert areas, the organization has huge tunnels linked to the border and then to Syrian territory; however, the possibility of Baghdadi entering the Iraqi depth through that spending is still a low probability. 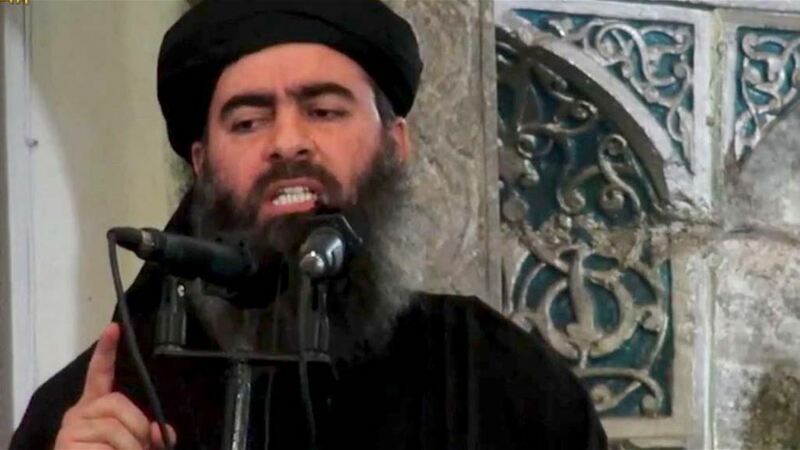 On February 16, 2019, the Joint Operations Command confirmed that the leader of the Abu Daqir al-Baghdadi organization had not been identified so far.